Many people complain about glare at night, especially from oncoming headlights, so Dynamic Eye is working on products to address this need as well. A special liquid crystal mode developed by researchers at Kent State University does away with the need for polarizers entirely, so the LCD is clear and transparent when no power is applied. To block glare, a pixel turns white, like a piece of paper. 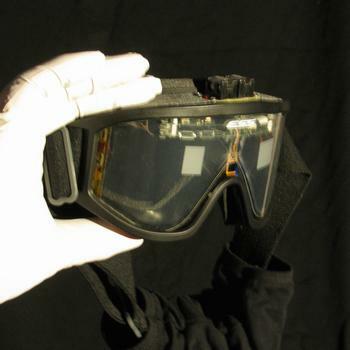 Because the mode is unusual, the electronics for it haven’t been miniaturized like they have for regular LCDs, but the principles are similar, and glare shielding will eventually be built into everyday prescription glasses that people wear all the time.